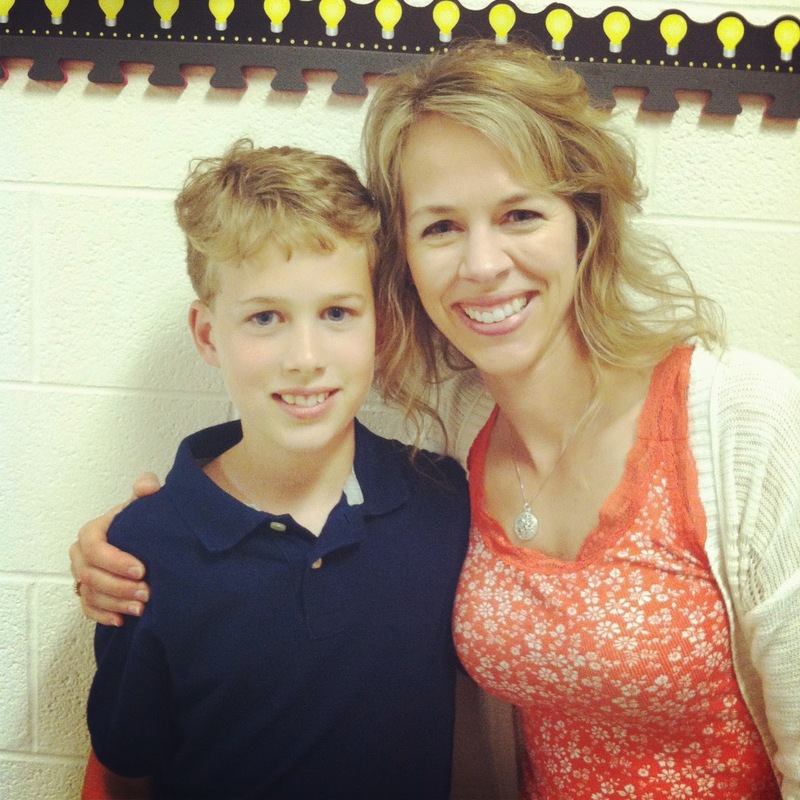 My younger son finished elementary school and is off to middle school in the fall. This combined with my oldest daughter graduating from high school on Sunday makes me an emotional ticking time bomb. The backpacks, notebooks, lunch boxes, used up markers and pencils all made their way home. 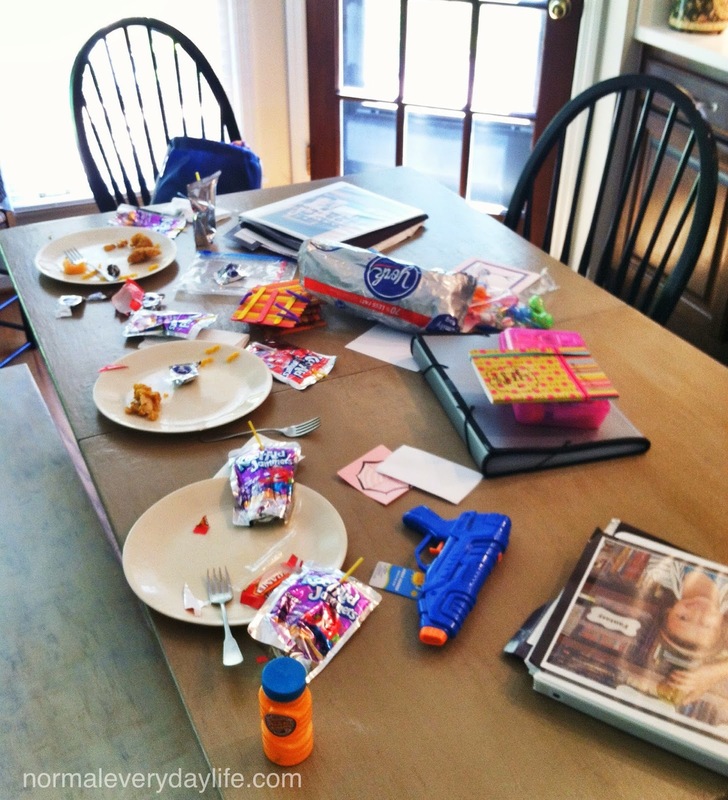 Lunch was eaten amid the end of school year papers and treats that had exploded on my kitchen table. Obviously the first meal of the summer had very little in the way of nutritional content. It was full of giggling girls and boys rolling their eyes at their antics though! 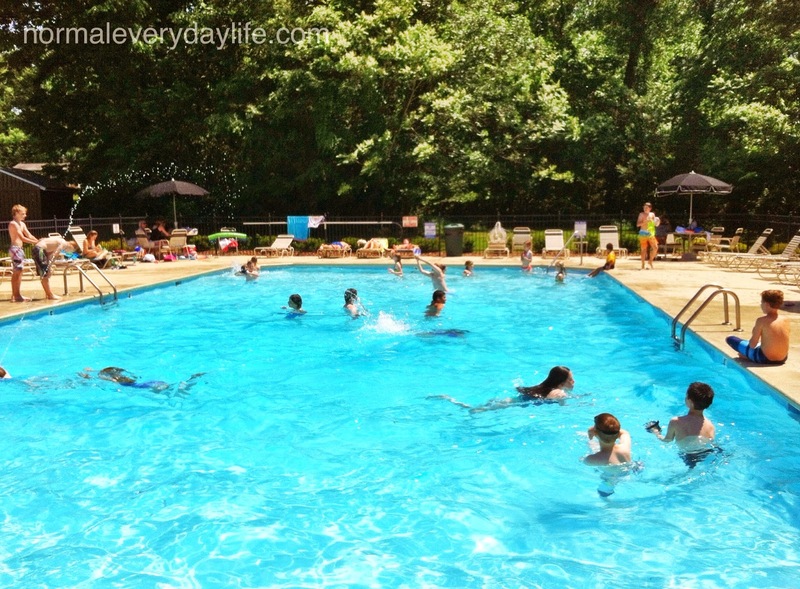 Our first afternoon at the pool. I'm out of practice so I forgot the sunscreen and snacks. Swimming is still a such a novelty the first few weeks no one even noticed. They actually played and I may have even read a book...shhhh. The season finale of The Middle. If you haven't seen this show, you're missing out. It's so funny and so real. I think Frankie Heck lives in my head! Why can't more good TV be on in the summer? After that, everyone slept in, sort of. At least, the house was quiet. I did not have to set an alarm, pack lunches, or run around like a mad woman trying to find last minute things for school. Did I predict it here or what?!? What, you ask, will lunch be like over the summer? Well, it won't be pretty. Some people in the house will start asking by 10 am, what's for lunch? This will drive me to the brink by the second day week. I will have to restrain myself from screaming and calmly tell such persons that I don't want to hear about lunch until noon. But then tonight, this happened. 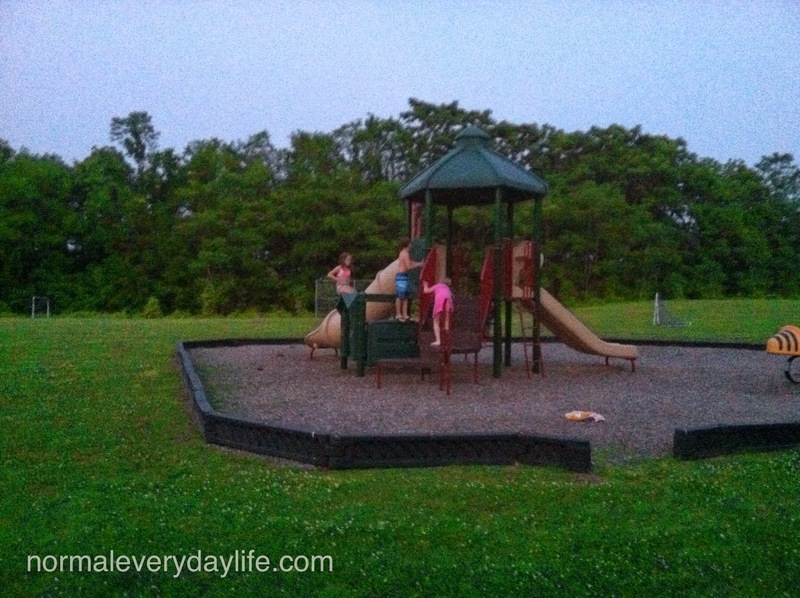 My younger kids played with their friends on the playground until dusk. It was a beautiful, warm summer evening. I listened to the laughter and chatter of children who have no cares, no bedtime, no schedule. Later, my oldest daughter came home after being gone for a few days. We watched TV and had popcorn. There was laughter and hugs and the feeling of peace that comes when you're free. Summer allows for all of these things and I want to know I stopped and recorded them here. Yes, school's out and it's time for summer in all it's crazy, chaotic glory to begin! Yay for three day weekends! Hope yours is very relaxing!! Already summer?! I can't imagine what the school years are like. It kind of makes me sad and nervous... Eek! 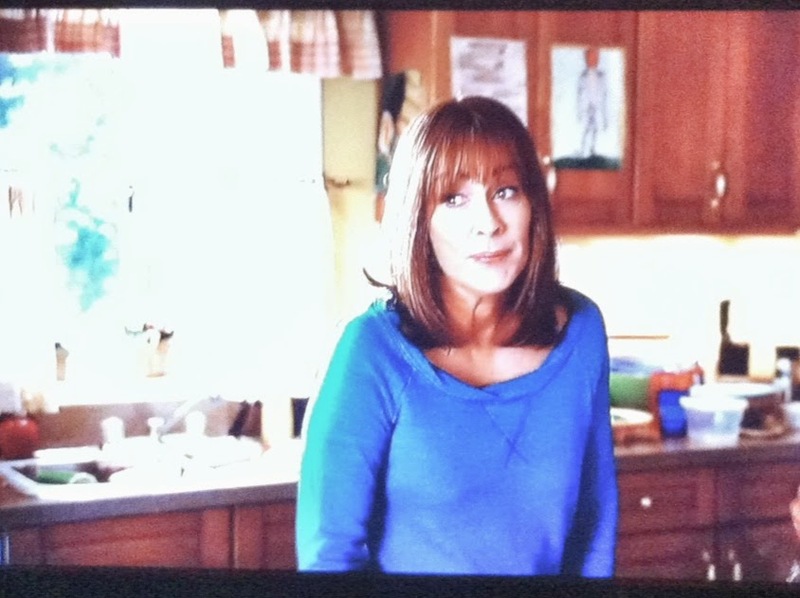 So glad to hear you're a fan of The Middle, too! I'll miss it this summer. I think Granny's swimming pool sounds like a great plan. Fun for the whole family! Wow, your Summer break is early! Ours doesn't begin until June 24th. I have just a few more weeks to get a weekly schedule put together, so that we have structure through the Summer months. I loved the peaceful and positive attitude that I felt while reading your post. Wishing you a great Memorial weekend with your family! Yes, summer starts early here and we'll be back to school by mid-August. Like you, I've got a summer plan for structure, but none of the activities start until after Memorial Day. I wouldn't survive without some kind of routine! :) Hope you have a wonderful weekend, too! Haha, hopefully they don't drive you crazy by tomorrow. I don't have any kids so it's just another day over here. I hope you & th kiddo's are having a great Friday! I loved the simplicity of summer when my daughters were at school. And when the weather is kind, the possibilities are endless. Here's to lots of lazy summer days and making the most of it! Sadly, life's not so simple now my daughters are at college. I think one is staying in her new home town a long way from home and the other may be heading over to the US to work. Izzie, I read on your blog one of your daughters may work in the US this summer. I'm interested in how it goes! Sounds like a fun summer adventure for her! Oh my, I LOVE the Middle too! My boys and I watch the reruns that come on The Hallmark Channel every night. Last night, my oldest boy looked at me during the show and said, "Mom, she's just like you!" Ha! I don't know if that's a good thing or not! But that show is more true to the real life drama of raising children and being married than most of the shows out there. Loved your post. I'm here from Kelly's Korner. I'm going to add you to my blog reading list. Happy Summer! Looks like you had a great day! I love the picture of you and your son! I love the bit about lunch, just what I have here, except they know lunch is up to then so it is "What's for dinner Mum" from each of my 6 kids several times a day! Thanks for taking the time to comment. I love hearing from you! Hi, I'm Marie. Thanks for stopping by! 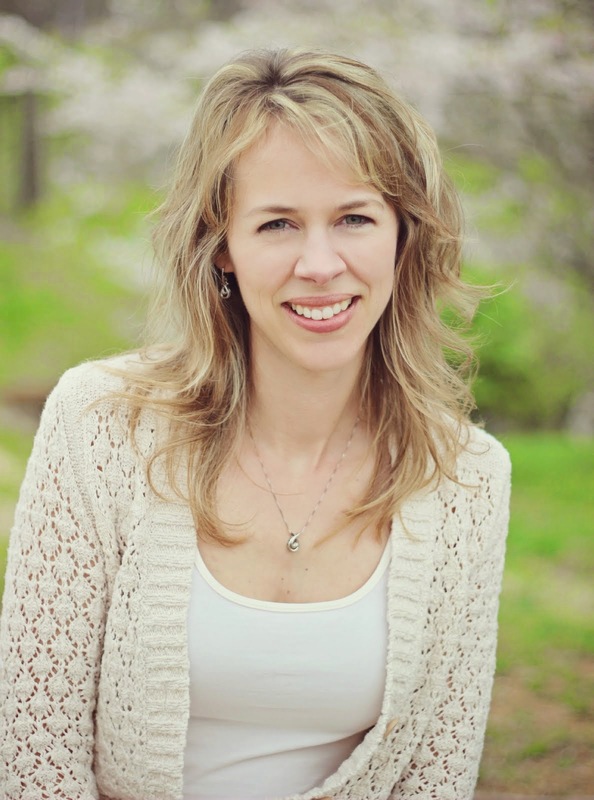 I'm a mom of five that enjoys writing about the good, bad and funny parts of motherhood and normal everyday life! Hobbies: Are They Worth It?